A few weeks ago a little green glass bottle of wonder made its way onto my desk (a lot more exciting than the filing) and I’ll admit that after looking at it I was intrigued but kind of not really expecting too much. Since as it does look like a bottle of green goddess juice. However, I was so surprised when I started using it that I really love it, and have used it daily since, that I wanted to let everyone know. The product is Super Greens Nutrient Boost Serum – £42. It’s made by a brand called Tropic. I’d never heard of the brand before but it’s owned by one of the contestants on the TV show apprentice, which I thought was pretty cool. I’ve never watched the apprentice since I spend all day in an office and can’t think of anything more depressing than going home and watching people do business things but clearly the people on there do actually know what they’re doing! 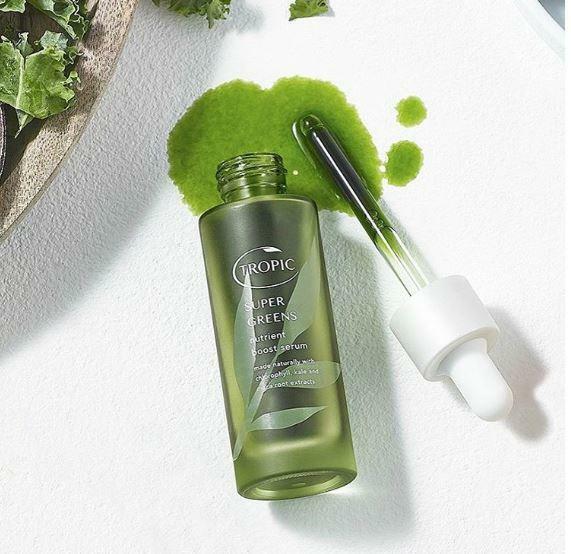 The Super Greens serum is a shot of healthy greens that boost your skin’s natural defences and nutrient levels. I’m not averse to using chemical products but this serum boasts an impressive 100% naturally derived set of ingredients whilst still actually working. It includes 18 different pure plant extracts, for the hipsters, there’s even some kale! 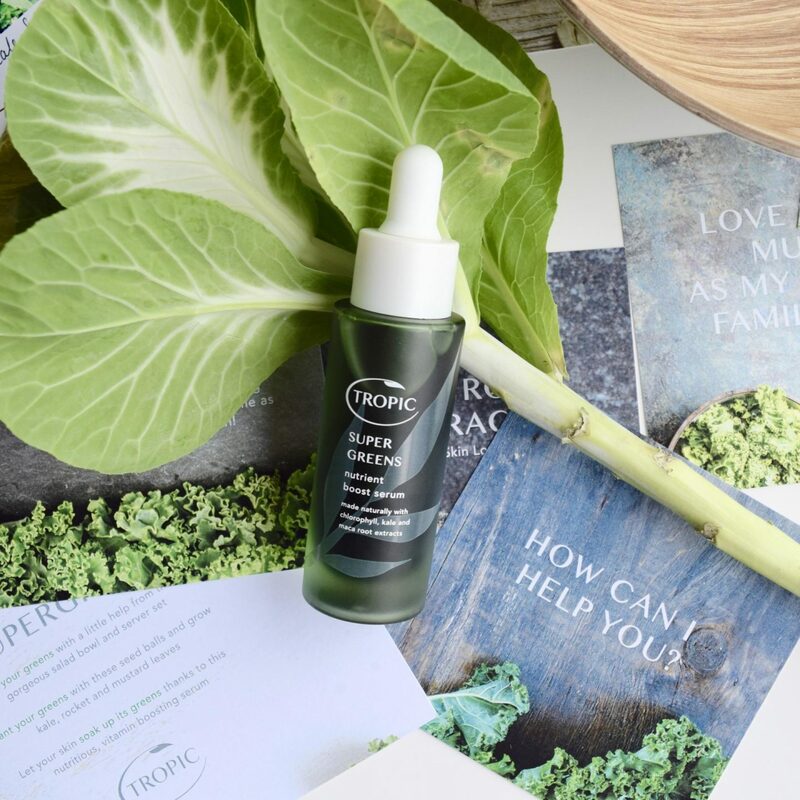 The serum contains superfoods chlorophyll, kale and maca root extract. These deliver essential vitamins and minerals to the deeper layers of your skin, to boost skin health and its natural defences and give you a glow. It contains African marula and kendi oils, rich in fatty acids, to calm skin irritation and redness. Tamanu oil to accelerate skin repair and reduce blemishes and green coffee extracts contain caffeine which energise the skin and brighten your complexion. 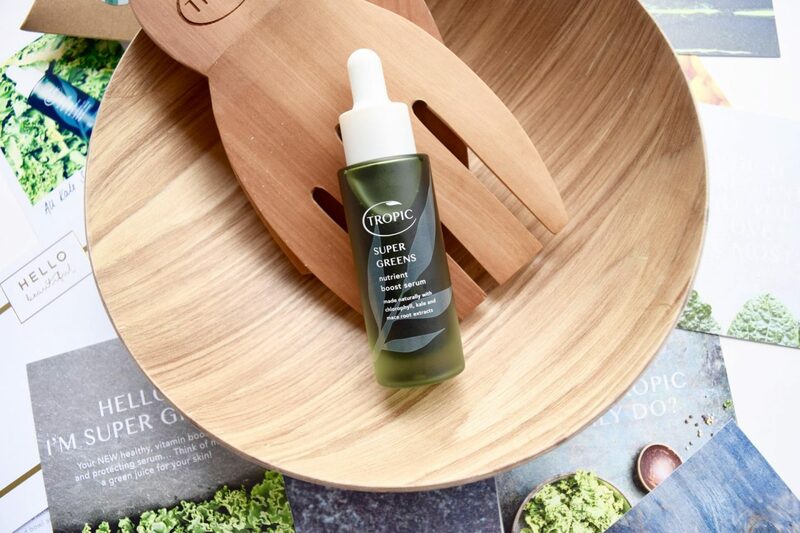 The Super Greens serum is perfect for those whose skin is dry, dehydrated, irritated, red or sensitive. For anti-ageing it’s great as it’s so moisturising and gives your skin a glow. It’s good for commuters or those who livewhere there’s lots of pollution. The ingredients protect against free radical damage. I was shocked how much difference something natural could actually make. It makes your skin look bright, glowing and so moisturised. This is the only winter I can remember where my skin has not looked dry and flakey. I love using this after my morning cleanse as my foundation applies so well after it as my skin is so smooth. The serum itself comes out bright green which surprised me, I thought it was a coloured bottle! I know it’s called a serum but it feels like an oil to me. It absorbs fast but don’t use too much. Rub a small amount between your palms and pat it into the skin then massage it in. I would note is that is smells very much of vegetables.. It’s fine it’s just not the nicest smell ever but it’s worth dealing with for the results.